April Garcia is an artist living in Austin, Texas. 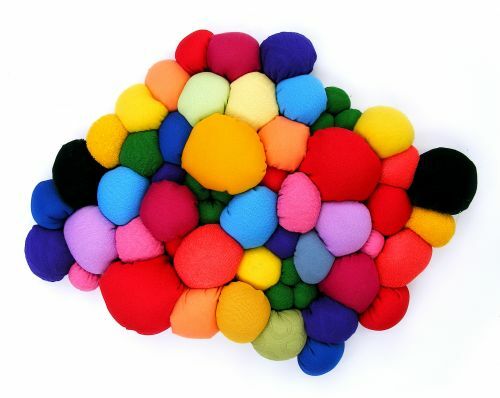 Using soft sculpture she creates spaces that express personal struggle in abstracted or symbolic forms. What is most recognizable about her work is her process of sewing, weaving and knotting she has developed that gives the pieces a distinct and natural texture reminiscent of nature and living plant life. She uses bright colors and patterns to create patterns of fabric that explode off the wall. 2005 “What a tangled web we weave” installation – The Stash – Austin, TX.